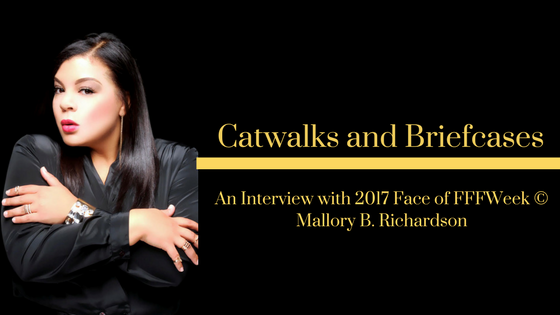 I had the chance to speak with Indian Plus Size Model & 2017 Face of FFFWeek© Mallory B. Richardson. In between her busy schedule, I asked about her journey to become the 2017 Face of FFFWeek© & more. Keeping reading to find out more. 1. Congratulations on being declared 2017 Face of FFFWeek©. What motivated you to enter this year’s competition and what has been your favorite moment so far? MBR: Thank you so much! I decided to enter this year after casting as a runway model last year. After watching the FFFWeek© brand build over the years, I thought very carefully about how I wanted to be involved this year. I was unable to make either casting and couldn’t get the thought of not submitting for The Face out of my mind. I had recently worked with a videographer I trusted and truly am a public speaker at heart. Once I heard Gwen on the radio explain the basis for creating The Face role, I was that much more assured, I should submit. The journey has been incredible so far. I have been contacted by previous Face winners, media, embraced by industry professionals and instilled with a new sense of self as me being me and all the hard work I have displayed over the past two years was all worthwhile for a moment in time like this. 2. In addition to being a model, you are also a Clothing Stylist and Fashion Producer. Would you say that this has allowed you to have a unique perspective when it comes to modeling? MBR: I am that much more selective, hands-on, and meticulous when it comes to the treatment of all parties involved in my productions, and what I command when working as a model for a designer in a production. Being a stylist allows me to use my creative abilities to unveil a new and refreshed version of a person via their clothing and appearance, which internally gleams from the inside out as their self-esteem begins to enhance as well. People do care about their personal appearance, or at least they should, and what others think. As a model, I am there to showcase designer attired suitable for sale. 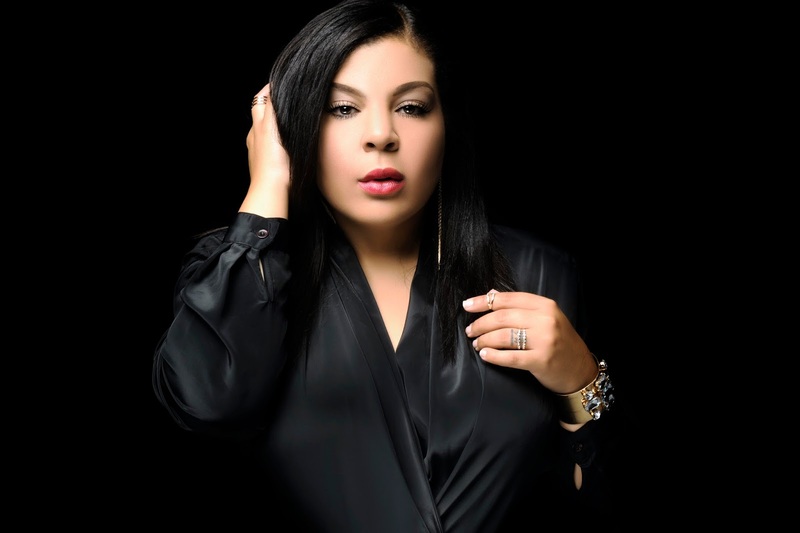 I am a spokesmodel with no words, I am the template to a piece of artistry, I give life to garments and let the audience envision themselves or loved ones enjoying collection items based on my representation of the brand, that is powerful. When I am in production mode, I am constantly thinking, how best can I show my team I value them and receive the best performance both from my staff and the expected attendees. What type of experience do I want them to have? How can I continue to evolve my productions and keep the core values of creation the same… these are all things I think about. I have produced both Birth of an Empire, my first runway show and now Crusade of Curves which will be an annual production. I hope to continue to build my legacy in the fashion marketplace both for straight and plus women to highlight incredible design aesthetic. 3. Here is a fun question. What is your must-have item in your beauty arsenal and why? MBR: I must have an amazing statement piece. Whether jewelry, belt, or clutch, I am an accessories kind of girl. I believe anything can look like something with a splash of accessory. It takes your look to the next level of completeness. 4. Lastly, where can people find you online? Special thanks again to Mallory. 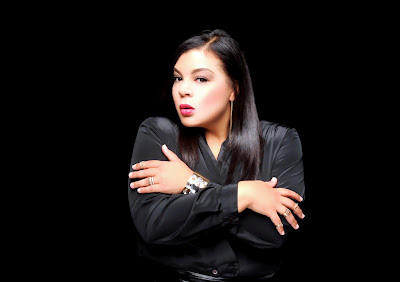 Be sure to find her online and catch her at this year’s Full Figured Fashion Week next month. Did you enjoy this interview? Who should be the subject of our next interview? Let us know in the comments below.